Star Wars fans, get ready to see one of your fondest dreams come true. 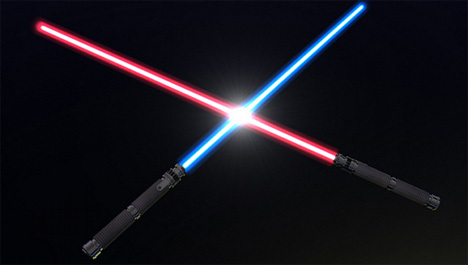 Scientists have finally figured out how to make lightsabers a reality. 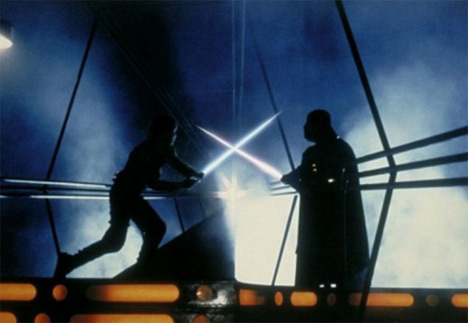 The science behind the lightsaber was previously thought to be the fanciful dream of an imaginative screenwriter, but researchers at the Harvard-MIT Center for Ultracold Atoms have figured out how to make individual photons react with one another and come together to create solid structures. This photon reaction essentially represents the discovery of an entirely new state of matter. The researchers figured out how to make light – previously thought of as unable to bind itself into any kind of solid state – act like molecules. They did this by super-cooling atoms of rubidium and using a laser to shoot individual photons through the frozen atom cloud. As the photons came out on the other side of the cloud, they were bound together and able to form physical structures. Although the researchers aren’t entirely sure what to do with this groundbreaking discovery, they say that it could be used to build quantum computers and to improve the performance of traditional computers. But of course, the most exciting prospect is seeing the world’s first actual working light saber come to life.